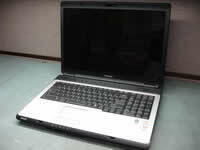 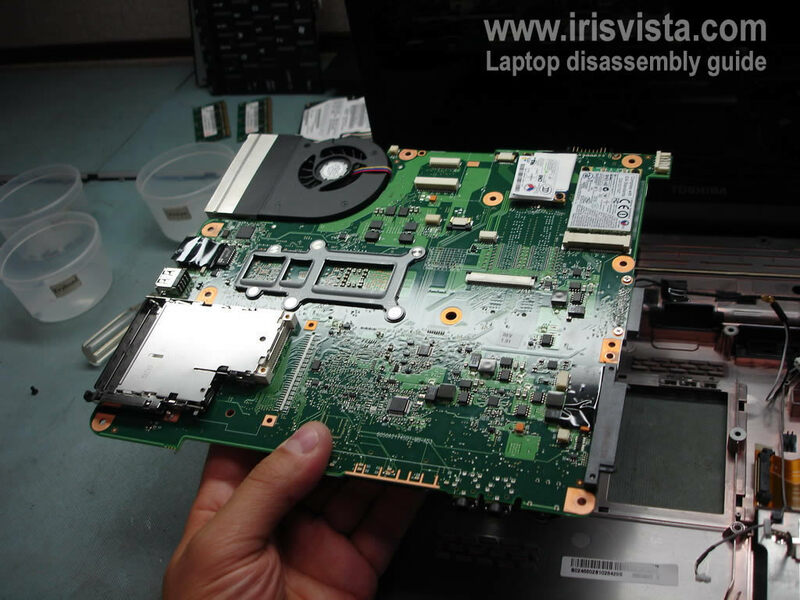 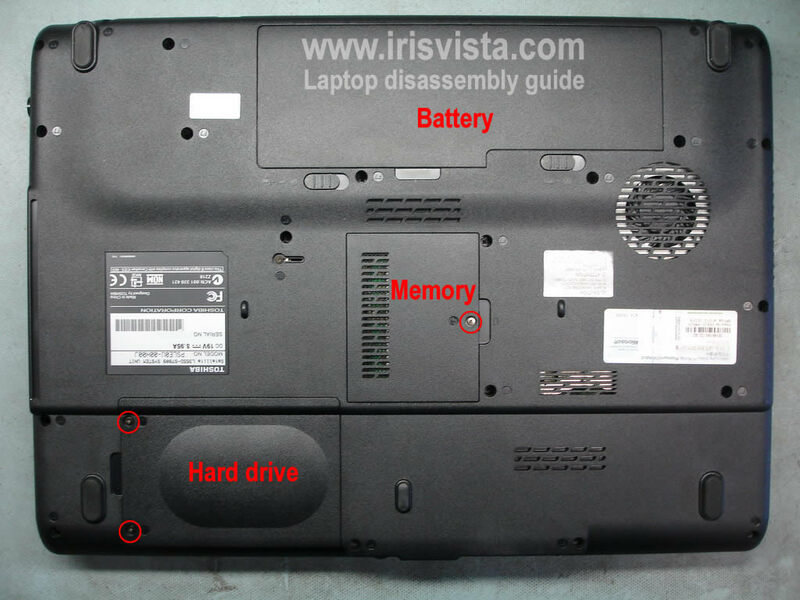 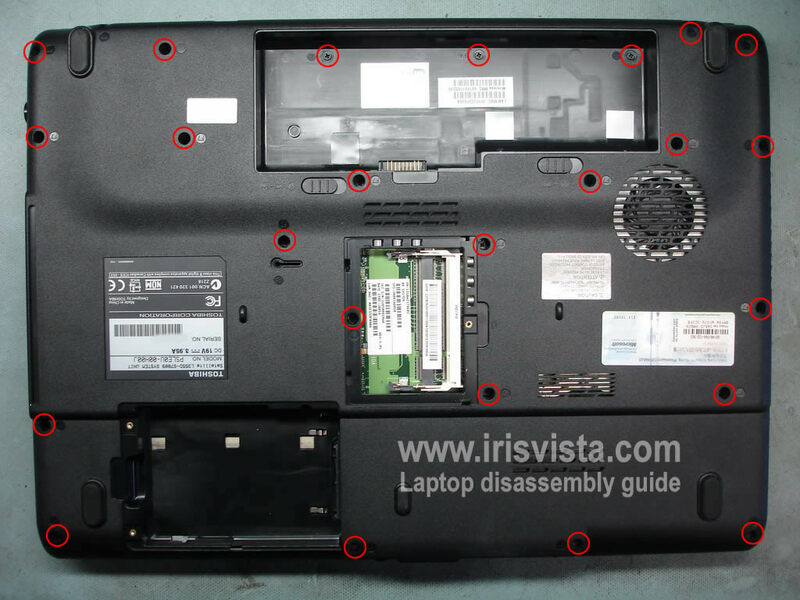 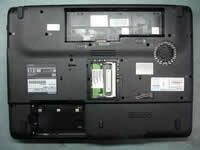 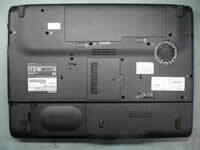 Toshiba Satellite L355, L355D, L350, L350D disassembly. Pull the hard drive to the left. 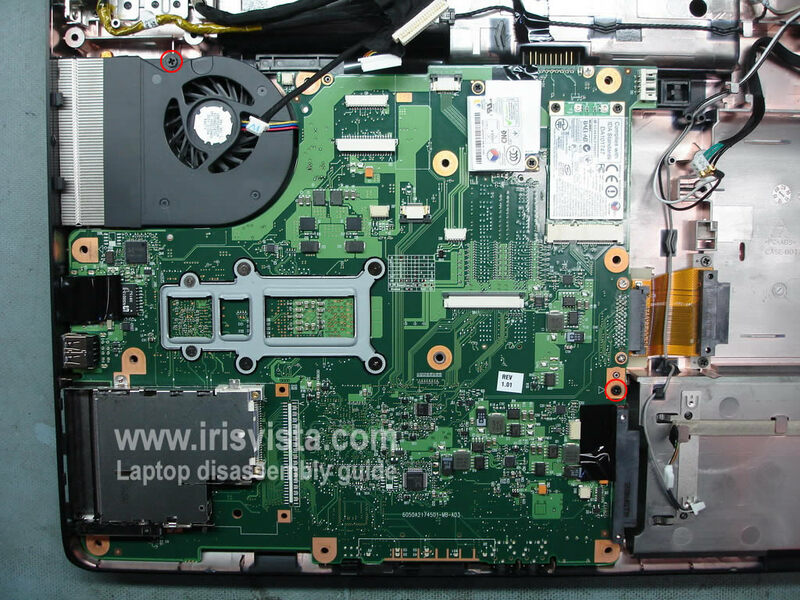 Disconnect it from the motherboard and remove. 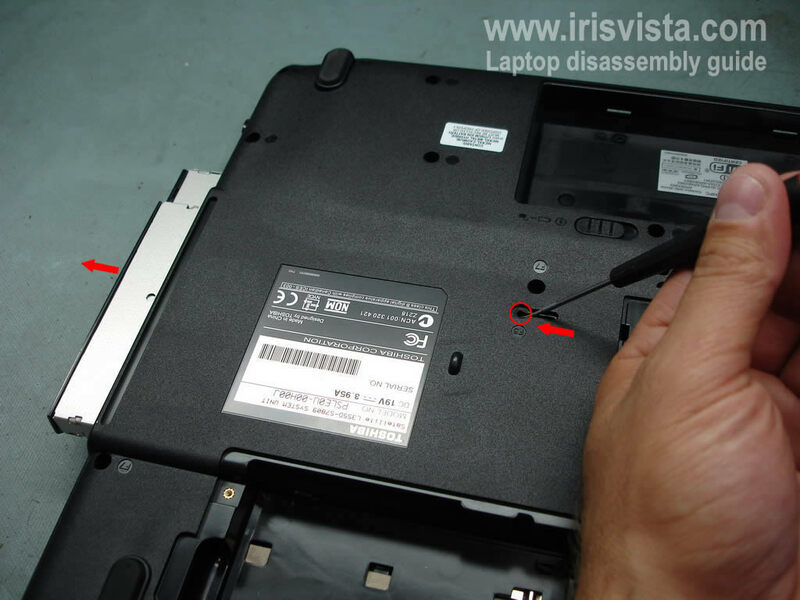 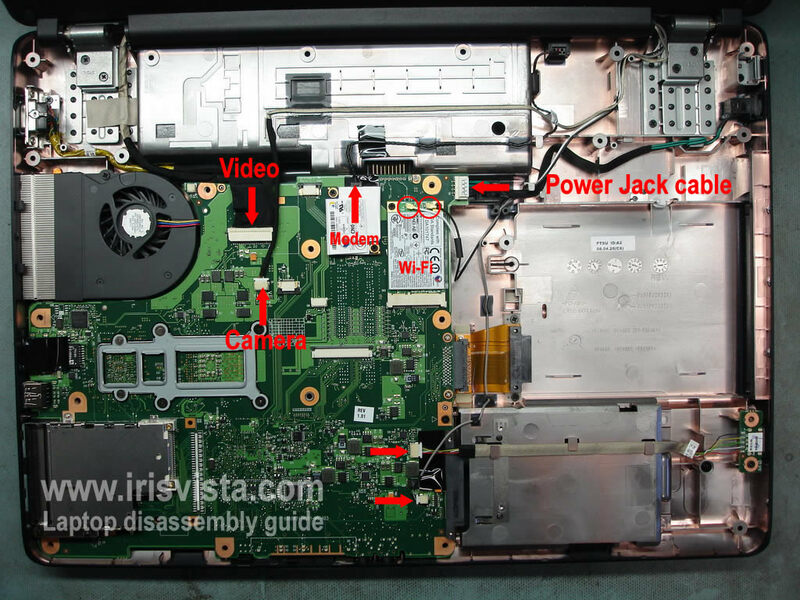 Remove one screw securing the DVD drive (red circle). 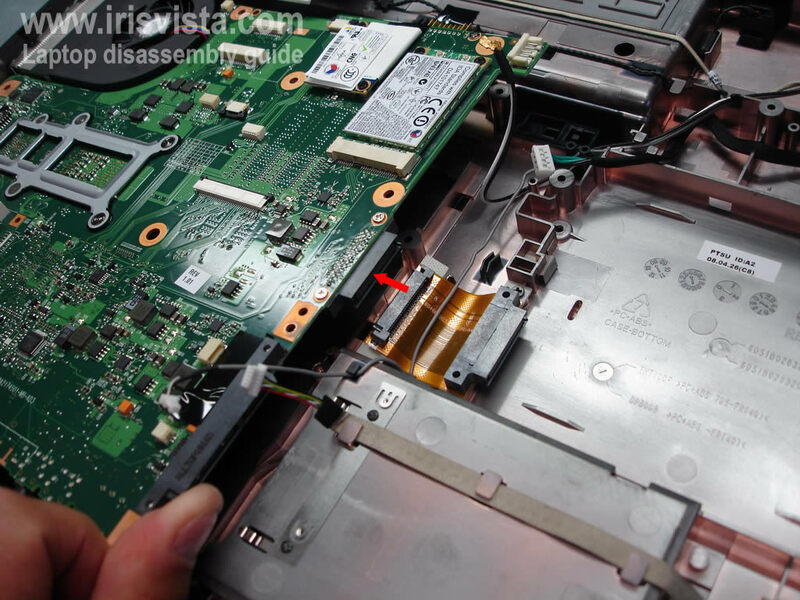 Push the DVD drive with a small scredriver. Remove the DVD drive from the laptop. 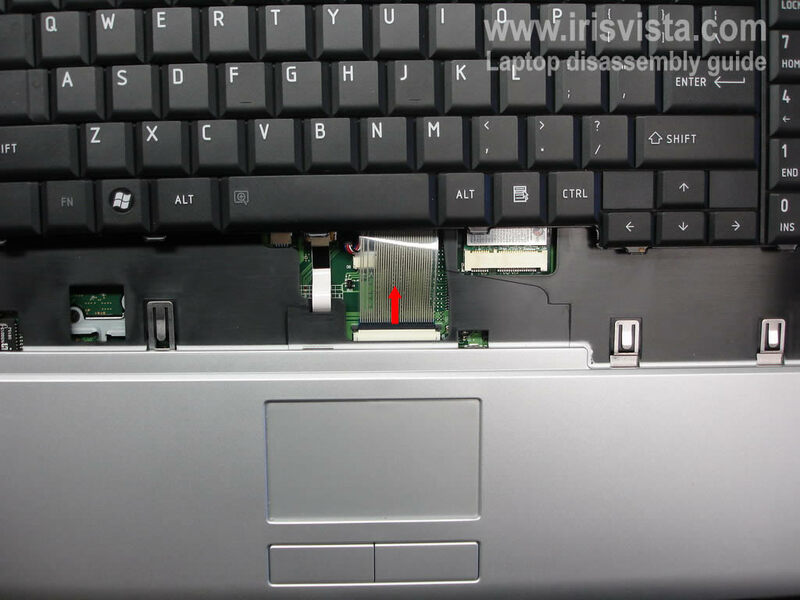 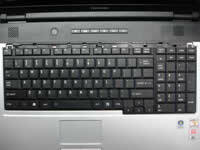 Remove the keyboard bezel using a smal flathead screwdriver. 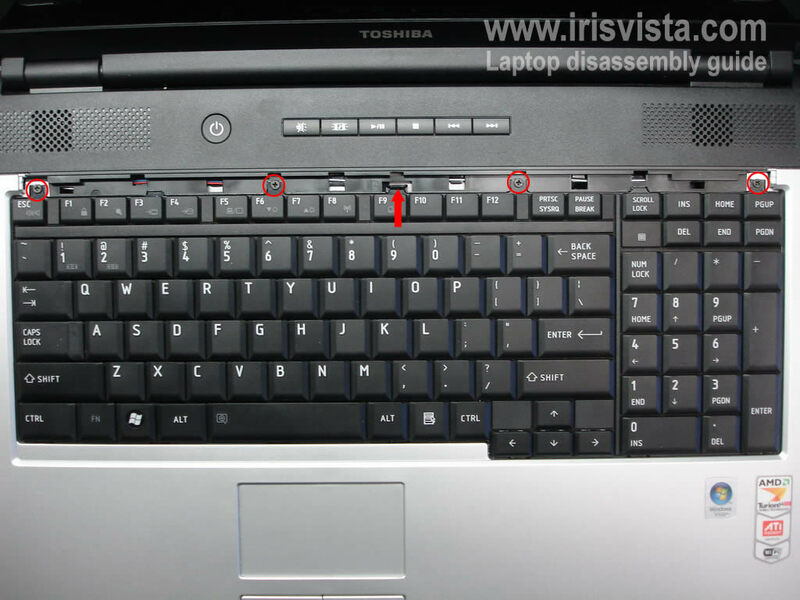 Press on the plastic lock (red arrow) and release the keyboard. 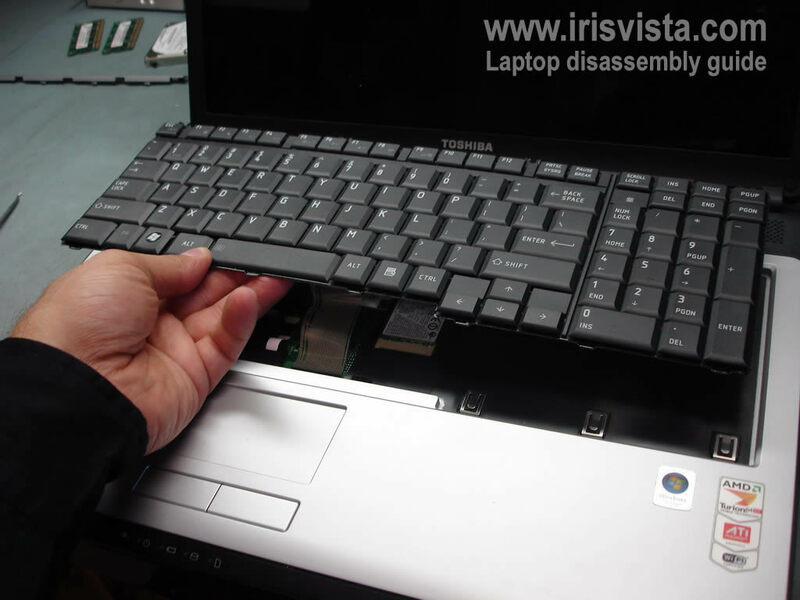 Be careful, it's still attached to the motherboard. 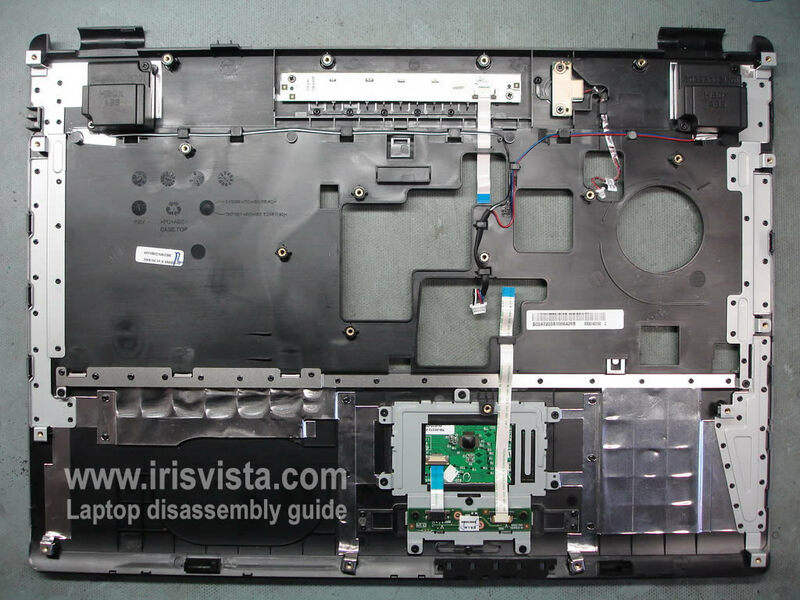 Now we are going to separate the top cover from the base assembly. Usually I'm using a guitar pick. 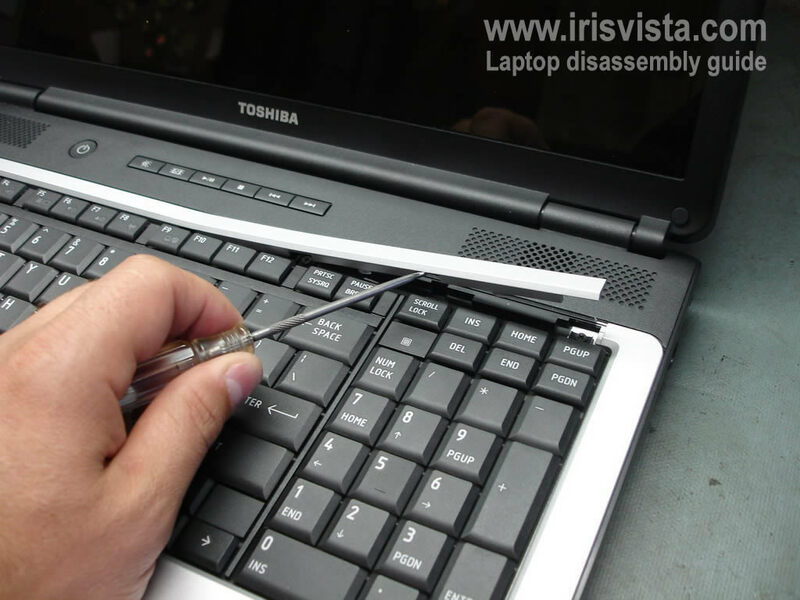 Insert the guitar pick between the top cover and base assembly and carefully move it along the side. 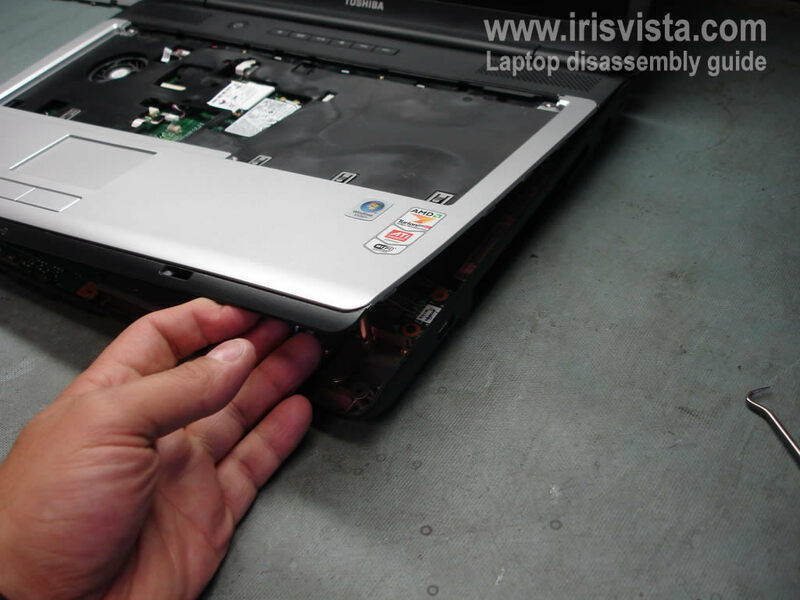 Continue separating the top cover with your fingers. 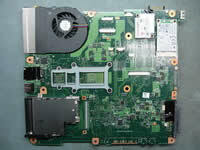 On this picture you see the back side of the cover. Now we are going to remove the motherboard. 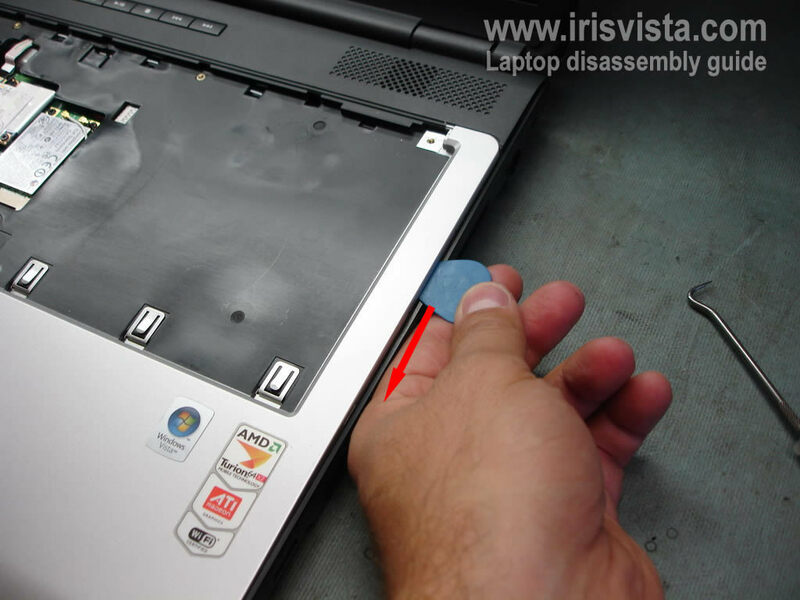 Disconnect all cables pointed with red arrows. 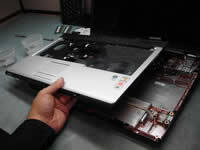 There is one more cable to disconnect. Remove two screws securing the motherboard and the cooling fan. 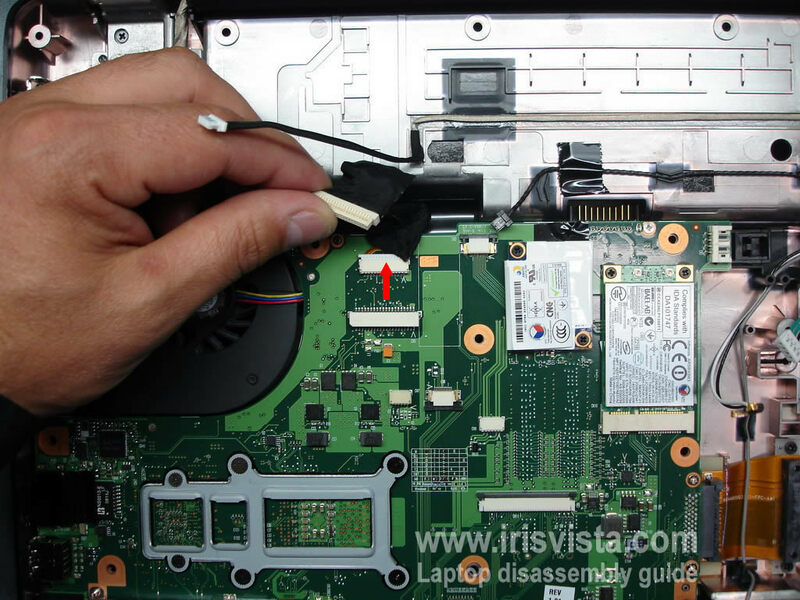 Disconnect the DVD drive cable from the right side of the motherboard. 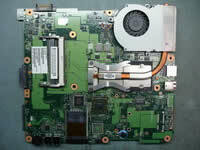 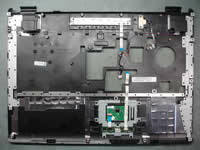 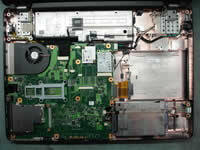 The laptop motherboard has been removed. 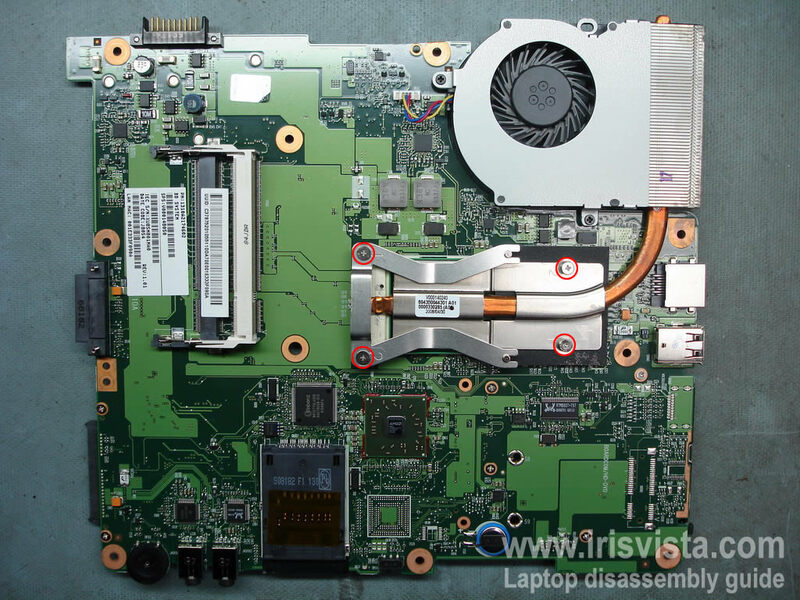 Now you can remove the heat sink, the cooling fan and the processor.